Here is a versatile set of tools that every Household needs. You'll find variety of House hold scissors, Sewing scissors, Kitchen scissors, along with Professional scissors & Beauty care instruments range. The thick, sharp blades and high-torque handles are great for opening packages, snipping rope and wire, cutting through various materials and many other tasks. You will get premium quality from experts hands, made in Sialkot, Pakistan. 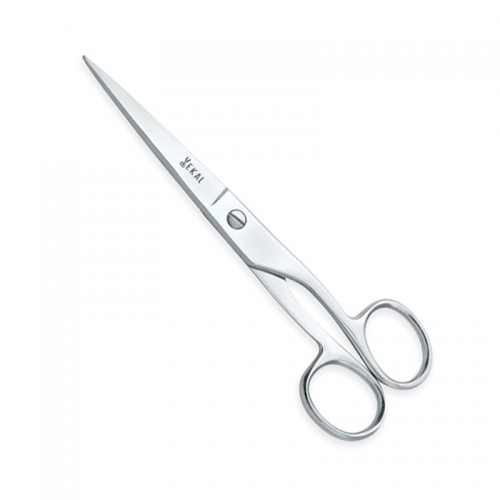 Enjoy the fine utility that comes with the use of these fine scissors from Ekal Professional. 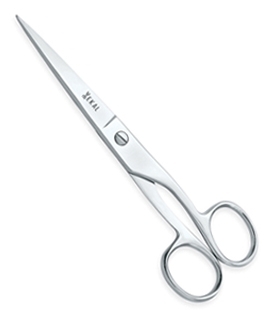 Our Household scissors are designed to help you make the most of your skills. Ekal Professional is fully committed to provide highest quality, most stylistic and long lasting performance designed instruments. This classic model of two pointed blades household Scissors also won the test of time and yet a lot of people prefer this classic model over modern designed Scissors. Sizes: Select Sizes 5" 6"